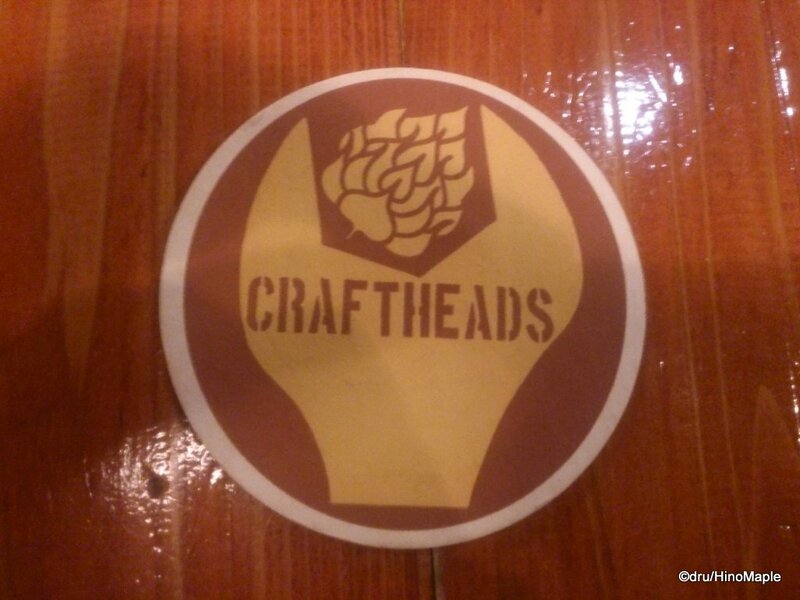 Craftheads is a little hole in the wall craft beer bar and restaurant. 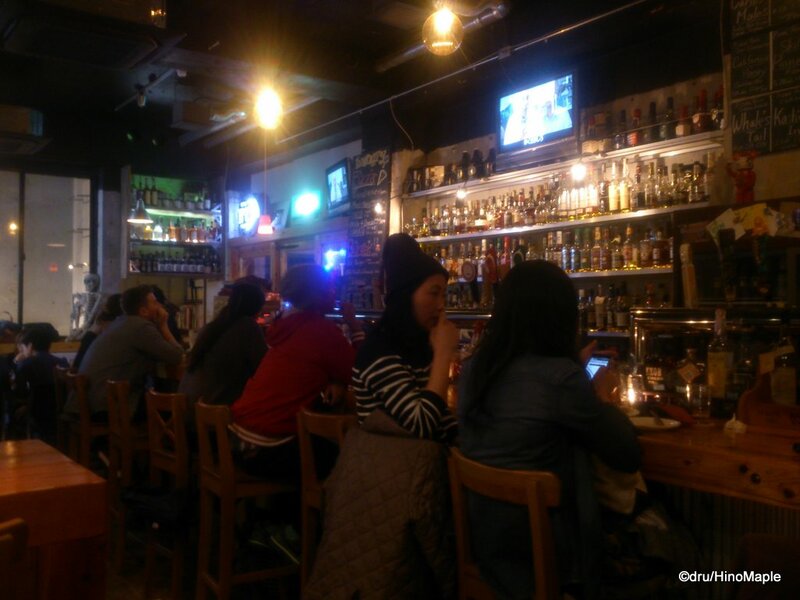 It is more of a bar than it is a restaurant and it is located in a very interesting area of Shibuya. Most people head up Centre Gai or towards Dogenzaka, but Craftheads is up towards the Shibuya city hall. It is just past Marui, near Parco. It is near some clubs as well as some trendy fashion shops such as Supreme. I heard about this shop before and thought about going there many times but felt a little intimidated by it. I was happy when I came here for an after dinner drink and plan to come back again. The atmosphere inside is very industrial, yet very warm. 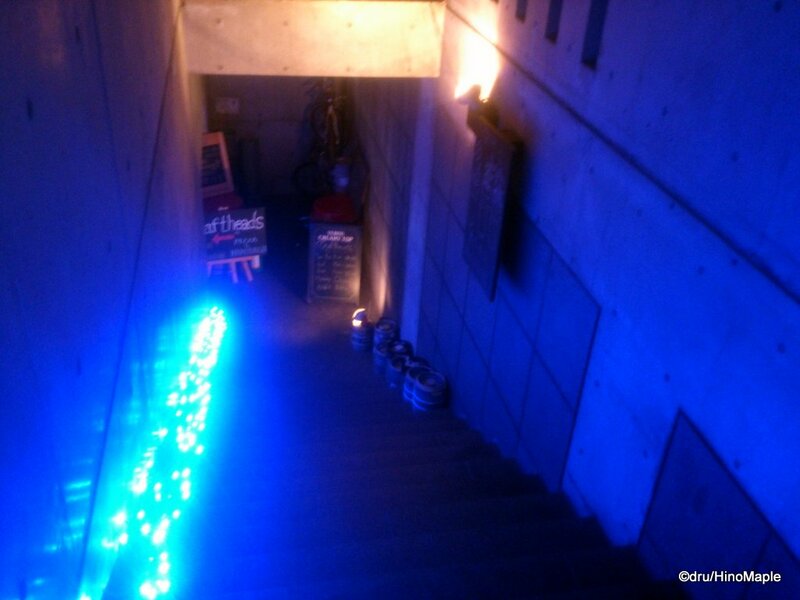 Located in the basement of the building, you head down a concrete lined stairwell and look into the dark bar. When I went at night, it was pretty dark inside but it did set the mood nicely. We were a big group and they weren’t expecting us so it was a little interesting to see 12 people crowd around a couple tables meant for just 8. There is a very long bar in the shop with a few high tables and a few low tables. They really made use of the space. The interesting feature was the shared bathroom. Both men and women shared the same bathroom, but they separated the toilet stalls into men’s and women’s. The ordering system was really strange. We were seated and they told us that we had to line up at the “red light”. There is a red light near the entrance where you order your beer. Unlike the regular method of this system, you don’t actually pay for your beer right then and there. You actually just take it back to your table where you wait and then pay for the beer later when you ask for the bill. I guess it just helps for cutting down on the staff. I’m not sure if the regular system is different as we did have a big group, and smaller groups may have a different system of ordering. The selection of beer at Craftheads was also very good. There was a huge variety of beers from both Japan and abroad. I usually don’t have a hard time choosing what beers I want to drink anymore but with the variety at Craftheads, even I had a tough time. You can find a lot of interesting beers that are not readily available in Japan and they also have a few beers from Europe that I had rarely seen in other beer bars. Most bars tend to focus more on Belgian and German companies rather than Italian or Spanish companies. Craftheads is a great place to go and I’m happy I finally made it out there. It may be intimidating to head down to the basement where Craftheads is located but don’t be intimidated. It is a nice little shop and the people working there are kind enough. For the selection, I’m sure I’ll have to go there often; or at least every time that I am in Shibuya. 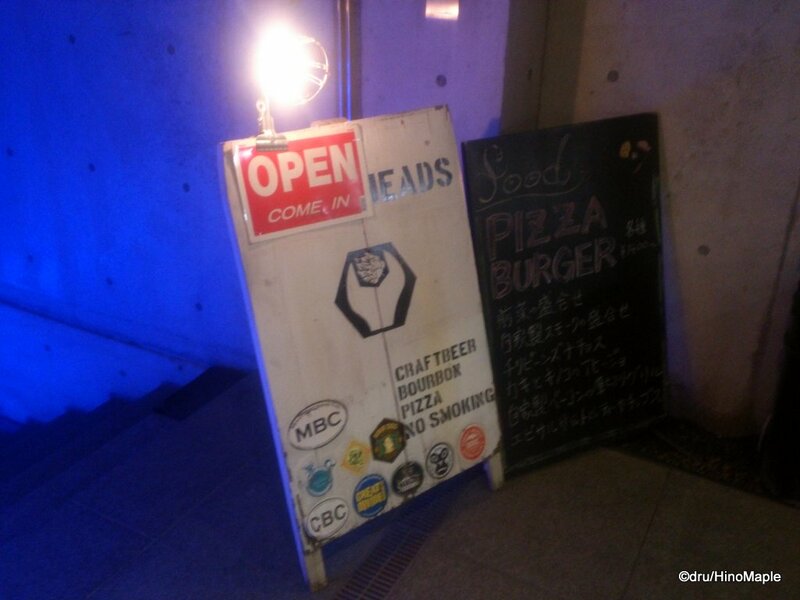 This entry was posted in Tokyo Food and tagged Bar, beer, craft beer, Craft Head, Craft Heads, Craftheads, japan, Ji-Biru, Jibiru, Shibuya, Shibuya-ku by Dru. Bookmark the permalink.